The dungeon RPG Operation Babel: New Tokyo Legacy is available today for PS Vita in North America as both a physical and digital release featuring Japanese audio and in-game text in English. 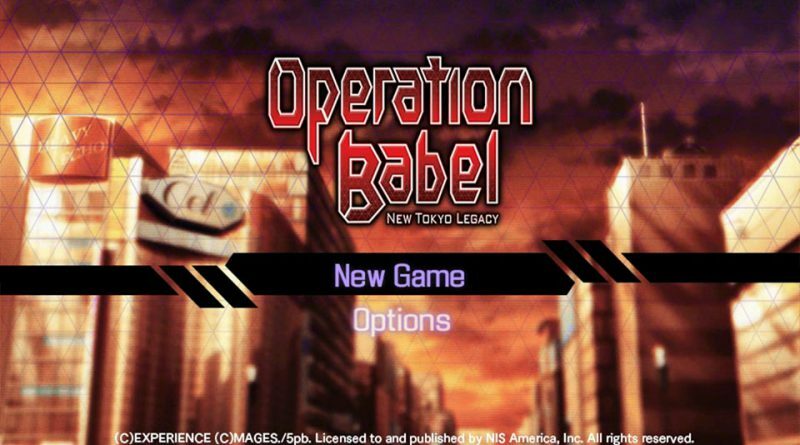 Operation Babel: New Tokyo Legacy continues the story of Operation Abyss where players have to defend near-future Tokyo from a new threat when a mysterious object – dubbed ‘the Embryo’ – appears in the sky. Venture into challenging new labyrinths and create the perfect team to challenge each threat. Venture into challenging new labyrinths and create the perfect team to challenge each threat. Featuring a mysterious new story, unprecedented character customization through the new ‘Sub-Blood’ system, and itembased character ability modifications, Operation Babel: New Tokyo Legacywill give you a world to lose yourself in.